Mark Zuckerberg and Steve Jobs are some of history's biggest influencers, but their influence is giving kids the wrong message. So say some of the biggest authors in San Francisco, who've been ruminating a bit over a trend that got some real estate recently in the New York Times. 'hacking' higher education. Inspired by billionaire role models, and empowered by online college courses, they consider themselves a D.I.Y. vanguard, committed to changing the perception of dropping out from a personal failure to a sensible option for a certain breed of risk-embracing maverick." Some drop out, join start-ups, and become very successful. But, even if this worked for the kings of Silicon Valley, it doesn't work for most. When author Janis Cooke Newman read this story, it lit a fire under her to challenge this idea. "The Times story pointed out a phenomenon that seemed so short-sighted and plain wrong to me -- maybe because I'm the mom of a high school senior," says Newman. "When every statistic is telling us that college educated workers make more money and have less unemployment, it seemed reckless to be encouraging students to 'hack their education.'" Newman brought the issue to the San Francisco Writers' Grotto, a collective of more than 50 of authors, columnists, screenwriters and national bloggers that includes Bay Area literary figures from New York Times bestseller Po Bronson to Pulitzer Prize winner T.J. Stiles. The Writers' Grotto leadership has now decided to publicly and meaningfully support individuals working hard in the opposite direction, against odds and limited finances, to complete their higher education. The Writers' Grotto and its education program for adults, Grotto Classes, have opted to use their wide outreach to raise money for an innovative program started by philanthropist and author Dave Eggers, called ScholarMatch. ScholarMatch uses online crowd funding, a distinctly Silicon Valley platform for connecting donors with students. It gathers small and large donations from many sources, to close the gap between the financial aid students with needs get from colleges and the government, and what they actually require to complete school. As far as the Writers' Grotto was concerned, ScholarMatch was the perfect way to show what's wrong with the UnCollege movement and make a difference in a student's future. With an ever-widening gap between the number of rich and poor that earn bachelor's degrees (only one in 10 first-generation college students finishes college within six years), dropping out of college often has devastating effects on their lives. Unlike those in the Uncollege movement, ScholarMatch students, mostly low-income, first-generation American kids, don't want to drop out. Most leave school when they run out of options for funding. This only spells bad news, according to ScholarMatch Executive Director Diana Adamson. "Our students come from hardworking families struggling just to make ends meet," says Adamson. "These students cannot afford to fail and are not equipped to explore alternative paths that might lead to success, but more likely lead to an uncertain future." Rather, ScholarMatch students are trying to break out of a cycle of poverty and need a tangible result for their hard work, she says. By tapping into a communal spirit of support, ScholarMatch has enthused people from all walks to get behind these, leading to some extraordinary results. While not limited in the least to writers -- donors range from individual contributors to corporations -- Adamson says there's a natural link between ScholarMatch and the Bay Area's writing community. 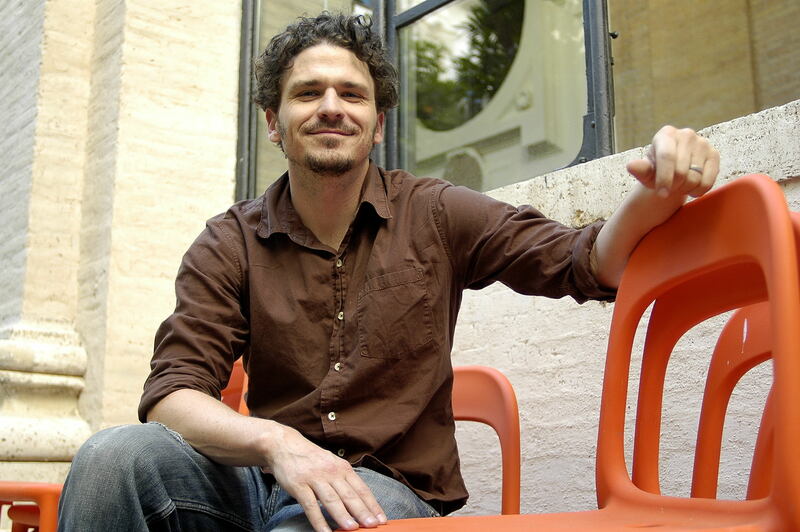 ScholarMatch shares a founder, Dave Eggers, and office space with the literary magazine McSweeney's and the nonprofit 826 Valencia that also serves students. "826 Valencia had been offering five scholarships a year, but we had 150 applications for those five spots, and it was very painful to see 145 talented and deserving young people get turned away," says Eggers from his office in San Francisco. "Most of the students we worked with had unpredictable and problematic gaps in their funding," he says. They might get half their in-state tuition covered by grants, but the remaining $5,150 or so would prevent them from attending college. It was frustrating to see a student who had done everything right have to defer or put college off indefinitely. Especially with state school tuition taking incredible leaps, too many students are left stranded. ScholarMatch came together in 2010 as a way to concentrate on making up these shortfalls, harnessing technology and the community-at-large. Given its literary origins, it's not surprising that writers such as Vendela Vida, Robert Mailer Anderson, Chuck Klosterman, Michael Chabon, Ayelet Waldman, and Elizabeth Gilbert have been a part of ScholarMatch from the beginning and have helped raise nearly $300,000 in scholarships over the past three years. "I understand the Uncollege movement, and why it's gaining ground. We have a problem of cost versus payback. But I think this model is not relevant to many kids in America," says freelance writer and Grotto member Diana Kapp. Kapp actually began sponsoring a student herself named Jessica through ScholarMatch in 2010, supporting her through college and paving the way for her to land writing and reporting internships in the summers. "It's not just about the money, it's also the social and emotional support that comes with providing for these students. We're sending a different message (than UnCollege)," she says. "ScholarMatch is the UnCollege counterpoint. Finishing college is a turning point for many of these first generation kids. For them, it's a way out. A couple thousand dollars can truly mean difference between going and not going." Students like Kapp's scholar, Jessica, find out about the program through nominations by high school counselors, the 826 Valencia after-school program, or college success programs. A selection committee then narrows the field based on criteria including GPA and a candidate's commitment to continuing education. Donors go to the website and search for student criteria, such as a scholar with a particular major. Once a donation is made to ScholarMatch, the organization finds the best-fit student. The Grotto and ScholarMatch went through dozens of high school senior profiles. One candidate stood out from the rest -- a student named Nicolas Soto who said in his essay that writing is everything to him. Soto wants to become an influencer, too, only he'd like to do it by becoming an English teacher and paying his education forward to other first-generation students. The Grotto had found its scholar. It has pledged to raise $5,000 a year to help him through college. "The Bay Area's writing community is a community of mentors for Nicolas and students like him," says Newman. "Along with the financial backing, there's also the moral support of knowing that a bunch of people -- writers and aspiring writers -- came together to help put them through college." And to graduate, she says, with the credentials to become the game changers of their generation. For more information on ScholarMatch, visit hhttp://scholarmatch.org. Lee Daniel Kravetz is the author of "SUPERSURVIVORS: The Surprising Link Between Suffering & Success," Published Spring 2014 by HarperCollins.